The Board • View topic - Is the cast itself a transverse wave? Is the cast itself a transverse wave? Yes, I do understand that there is a classical definition of a transverse wave and that what you call the fly wave does not honour that definition. My argument seems to be that the definition itself breaks down when the transverse wave encounters the end of the medium through which it's travelling. The definition of a transverse wave seems to imply the medium has infinite length. I'm saying that in a fly line, what would otherwise be called a transverse wave is reaching the end of the medium and is "breaking". gordonjudd wrote: Thus if the fly end of the line was directly below the rod tip, then the propagation direction was down, and the displacement of the waves were left and right, i.e. transverse to the propagation direction. So you're happy that the displacement of the waves is left and right? I have no problem at all with that because the wave is comprised of a string that has moved left and right. In other words, the medium has been displaced to the left and right. Do you agree with that? At the end where you start making "fly waves" the propagation direction is to the right on the forward cast. The displacement of the line is also going to the right. Thus the displacement of the medium is aligned with the propagation direction, and could not be considered to be a transverse wave. The difference here is that the end of the medium has been reached and the conditions for a transverse wave to exist are no longer satisfied (according to the definition in classical physics). If I were able to make that medium infinitely long (as approximated by the early part of the video) we'd still be talking about a transverse wave. But then only Paul could deliver the fly ... and he'd still be wanting more backing. Graeme H wrote: If I were able to make that medium infinitely long (as approximated by the early part of the video) we'd still be talking about a transverse wave. As you probably know, a lot of physics 'takes place' in space with no gravity - what happens to your transverse wave there? (It makes no difference to a true transverse wave). Also if I lean out of a tall building and cast vertically up and down, what happens to your transverse wave then? (Again this makes no difference to a true transverse wave). Now they probably seem like ridiculous scenarios, but to have a description that is limited to only certain circumstances implies that the hypothesis is fundamentally wrong. (I've often cast downwards from tall rocks by the way). Why are you so desperate to label the fly cast as a transverse wave - how will it improve our understanding, improve teaching or add anything? Without having been there, I can only imagine casting in space would be very similar to on earth, but it could be slowed down considerably if we desired. Casting vertically has no effect except for gravity making the downward cast easier. It's just a bucket mend on a bigger scale. My description is not limited to this one experiment or even this one circumstance, but I do agree that having a description that is limited to certain circumstances is ridiculous. A bit like having a definition that only works when a full wavelength of a wave is present. Why am I desperate to show a cast is part of a transverse wave? To improve the general understanding of fly casting. I am sure people who say it isn't are wrong and I want to correct that misconception. Please don't take it personally, but you can take it as an assault on physics if you like. Science is full of people questioning theories: that's what science does best. Deal with it or not, I don't care. It would be very nice if you could rebut the argument with an alternative that disproves what I'm showing. Again and as you well know, that's how science works. Now it has been rotated. Please tell me if this one is not a transverse wave. Now here's a rod attached. Please let me know if this one is not a transverse wave. If no other action is taken at this point, a fly attached to the line at A will keep moving left because the momentum of the medium in the upper leg (the fly leg) is in that direction. This is a loop produced by moving the line side to side. If you want to say the loop shown only looks like a transverse wave, please explain at which point above it STOPPED being a transverse wave. Do you see that you're now being inconsistent, in the above statement you're relying on gravity to achieve the vertical propagation. Remove gravity (or cast vertically) and now you have no propagation perpendicular to the displacement. I've stated previously that I believe the mathematics will break down once the wave amplitude exceeds the input amplitude by some (small) amount. Beyond that you just have something that looks vaguely like a transverse wave. This really is a case of trying to force a square peg into a neat round hole. You can bore the hole out to a chasm sized opening and throw the peg in if you want, but the original definition and properties of the hole are long gone. Let's take this picture and discretise it, i.e. imagine at the exact point in time pictured, an infinite number of scissors cut the line into particles, we can then track the motion of these individual bits. Can you see that the particles at the extreme right (the front of your loop) and the extreme left, marked A (the fly) have zero velocity? The particle that is moving the fastest is the one on the centre line - so this one will 'stretch' away from the fly. Between the two extremes there is a spread of velocities that are described, themselves, by a sine wave. The particles will therefore not move uniformly off to the left into a fly cast, they would simply smear out with the centre particles moving away from the extremities. In contrast if I discretise a fly cast, at some point during the stroke (let's assay it's going left) then it all moves off at the same velocity (it has to otherwise we'd see the line stretching). Does that explain why transverse wave theory is not a good starting point? but the direction of propagation has not changed. It's still vertical. If that is how you view the direction the fly is moving while the loop is rolling out on a normal cast, then we will never reach agreement on whether the "fly wave" can be considered to be a transverse wave. James9118 wrote: Let's take this picture and discretise it, i.e. imagine at the exact point in time pictured, an infinite number of scissors cut the line into particles, we can then track the motion of these individual bits. This hypothetical situation gives a nonsensical answer. Transverse waves require both mass and tension: cut the medium into small pieces to provide discrete masses and you remove the tension. It is impossible to transmit a transverse wave through disconnected points. The motion of each individual bit relies on being connected to the individual bit it is pulling through space and the bit it is pulling. That is beside the point of this because, yes, the fly line does stretch when we apply a force to it. The largest stretch is at the rod tip because that point is pulling the most mass. You're not proving anything by implying the line does not stretch. I'll go back to your two hypothetical experiments: performing the video in zero gravity and casting vertically. 2: When the cast is performed vertically, the line will occupy the tip path and the line crashes into itself. These two hypothetical conditions have one thing in common: zero tension. Tension is a requirement for a true transverse wave, and that tension must be perpendicular to the displacement vectors. For a transverse wave to propagate, two conditions must be met. There must be tension in the medium and the medium must have mass. With those, we can calculate the velocity of propagation of the wave as V = sqrt(Tension/Mass per unit length). The direction of propagation (shown above) is always in the orientation of the average tension vector, here being the "upright" of the red T. Displacement of the particles is in the direction of the cross of the T. Of course, the T is on its side, but I'll use the T as a frame of reference. Pretend I went into space and took my fly rod. I also took a piece of rope and found a place to tie it to. I conducted the experiment as asked, oscillating the tip along the cross of an imaginary T with the line laid out on the upright. The fly line pulled towards me and I got line tangled around the rod tip. With none of the tension from the gravity I had on Earth, the fly line occupied the tip path and I tangled up. There was no tension in the upright of the T, so the wave could not propagate along the upright towards the bottom of the T.
I then set my rope up as above and moved it sideways. With the rope (and me) tethered, a wave was propagated along the rope towards the tether. Then the pissed off cosmonaut who was with me cut the rope at the tether and the rope eventually pulled towards me and tangled up in my hand. Tension was lost and my transverse wave collapsed into the same state as the fly line did. The reason the video of mine shows a transverse wave with the direction of propagation being vertical is that gravity provides the necessary tension in the line. Rather than "an unusual set of conditions" (your objection), these are the mandatory conditions required for a transverse wave. Tension and line mass. The reason your vertical cast provides unsatisfactory results is that the displacement of the line (particles) must be perpendicular to the tension vector. Gravity can only provide tension downwards, so we can only make a transverse wave in the line by moving the tip horizontally. Hanging a rod out the window and casting up and down doesn't work unless the fly line is tethered to the building across the road to provide tension (exactly as shown in the Waves_T picture above). Do you now see that gravity is absolutely necessary to achieve a vertical propagation orientation? Gravity provides the tension vector required for a transverse wave to propagate in an untethered fly line. As you say, remove gravity and there cannot be propagation, the corollary of which is "apply gravity and there must be vertical propagation when the displacement vector is horizontal." For sake of simplicity we can start discarding the effects of gravity and air drag for the prurpose of the post. Whatever the name used for the loop, you can find the basic waves relationships for tension by applying Newton's laws to the loop. Then you see that all goes as if they were one force holding the loop at its top and another equal one at its bottom (both horizontal if you consider that the line rolls over horizontally). The tension at the bottom is balanced by a small deflection of the rod, while the fly leg has little tension at the fly level. You have two basic relationships to identify the changes in speed for both legs. If the cast is tethered, only the fly leg has speed and both relationships (momentum, energy) are the same. If the cast is untethered, then you have two equations for two unknowns, the speed of each leg. Then you realize that the rod leg can move forward only if it has a minimum length, in other words if the hangover is limited. You can also find conditions where the loop is frozen, and conditions where the line never rolls over completely. You can then get the basics of the cast witout referring to a particular definition of the loop. Like James, I do not see why using the word "transverse" could change the physics of the fly line flight. If you like to call the loop a transverse wave, I have no problem with that but I do not see any advantage to that. Thanks for the input Merlin. I agree that, in practice, I'm never going to tell a student they need to throw a transverse wave to make a fly cast. In fact, I think the practicalities of throwing a fly line are much closer to projectile motion and that's how I teach it. However, this thread started when someone asked the question. I would not attempt to hide information from someone who wants an answer to the question. I will also ask people to explain their answer when I don't understand their reasoning. On a deeper level though, I really do think the question has impact on the how we understand the physics of casting. If the fundamentals are well understood, the details fall into place more elegantly. 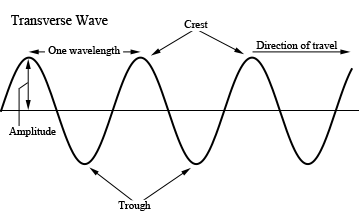 It bothers me that we (casters) invoke a special type of wave unknown to the rest of physics (the fly wave) to explain how a cast works when there is already a term in physics that describes it (the transverse wave). I reviewed a few scientific publications on fly line and the word 'loop" is used, not the word "wave". I saw a mention like "the loop is a non linear wave" in one publication, but never saw the word "transverse". So why not keep "loop" as the best description if scientists use it? Maybe the word "wave" also comes from people thinking they send a "wave" in the line, which would come from the (half) wave they send into the rod. That may create confusion too. To me we accelerate a more or less straight line and we make it roll over with a loop. The impression to send a wave comes, IMHO, from the possibility to transfer a little bit of the kinetic energy of the rod into the line, especially for short casts. This impression is reinforced with rather slow heavy rods like cane ones, with such rods the kinetic energy transfer can be pretty large.